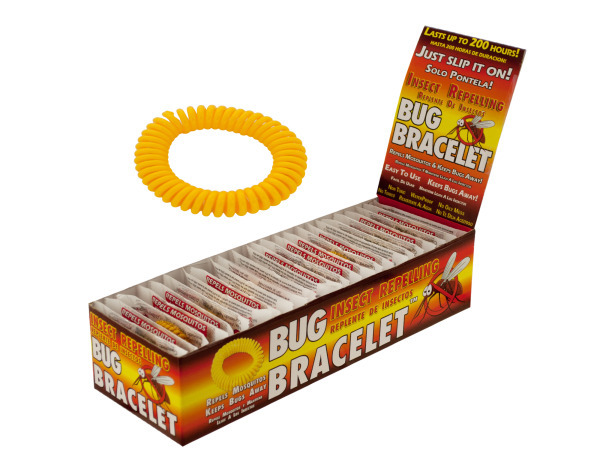 Repel mosquitos and keep bugs away with this easy to use Insect Repelling Bug Bracelet featuring a plastic coiled bracelet infused with natural insect repelling oils. Just slip it on to enjoy a bug-free day. Lasts up to 200 hours! Non-toxic, waterproof and no oily mess. Countertop display comes with 25 pieces.